To find a perfect match collar for this dog you need to consider our Luxurious Braided Leather Collar, made of the finest quality genuine leather an adorned with elaborated decorative elements. 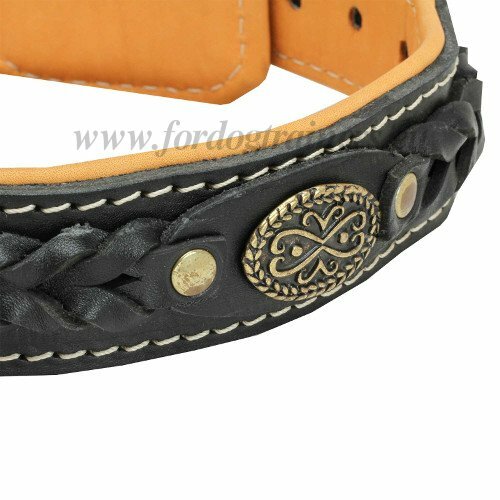 Stylish accessories is not only prerogative of beautiful women, but also talented, loving dogs. The collar is not only made of genuine leather but also padded with genuine nappa leather. A lovely combination, isn't it? 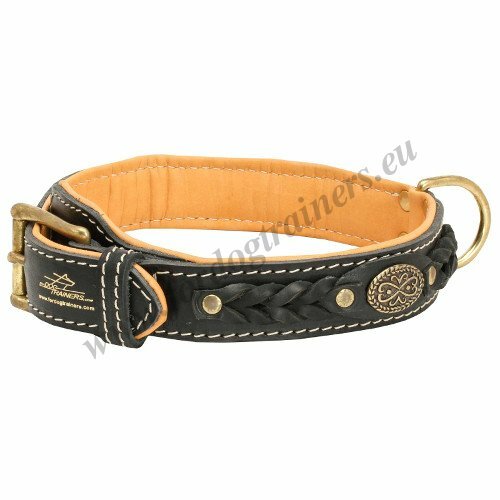 Black or brown surface and light inner part stitched together with contrast-coloured thread create ultimately comfortable accessory for Malinois walking and basic obedience training. We work not only with the collar itself but also with its edges to make everything in this product as worthy of your Malinois as possible. Just look at this top-notch product! 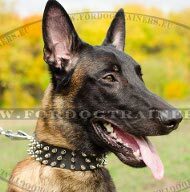 If its look makes you beam with pleasure, do you think it will go unnoticed by people around you, when your kingly Malinois wears it? Brass buckle and D-ring will guarantee reliability of fastening, because they do not corrode, nor do they break easily. Capacities of Malinois allow them to be successfully applied in the most complex purposes of service. 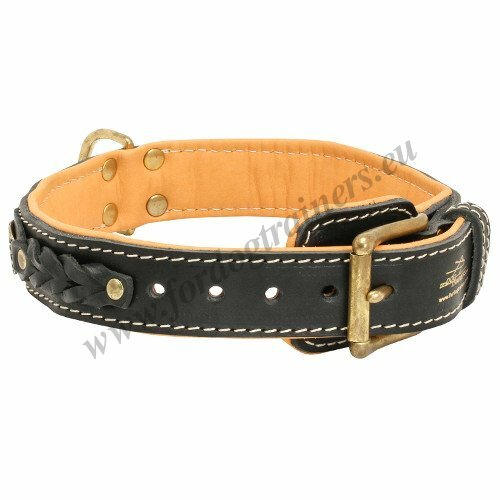 However, this dog can be a great home pet, as it is rather calm, moderate, unpretentious, has cheerful and kind disposition. 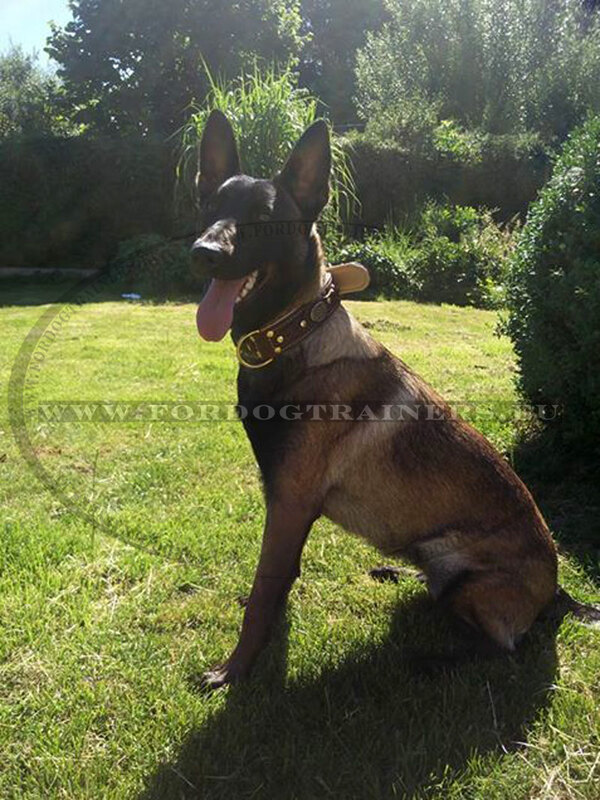 Train and walk your Malinois with our amazing Braided dog collar and develop its innermost talents! 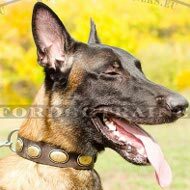 See other Belgian Malinois Accessories, handcrafted dog leads, Handmade leather dog collars and other outstanding products for your dog in our on-line pet store! 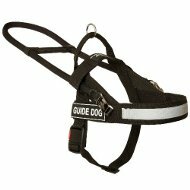 Look for news on our Facebook page! 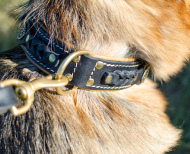 Our collar came yesterday, and we are very pleased with quality and, of course, appearance. 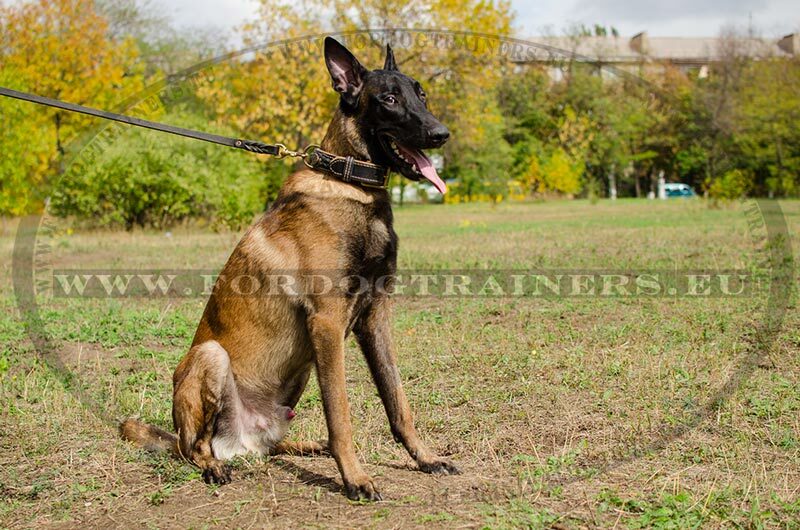 Even if Nala (Malinois, 8 months) should still grow a little. Thank you for excellent service and fast delivery, which was faster than expected.